Windows XP: What's Happening To It Now? Windows XP may be dead, but it’s not yet gone. Over 27% of computers connected to the Internet still run Windows XP. Here’s exactly what “end of support” means and what will happen to all those Windows XP systems now. Your computer clearly didn’t turn into a pumpkin at midnight on April 8, 2014. In fact, all those Windows XP computers will keep on chugging along just like they always would. 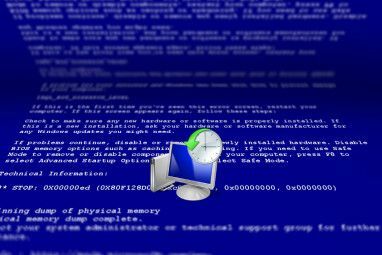 The only noticeable difference you’ll see is a monthly pop-up message It's The End Of Days For Windows XP - Microsoft Will Send Pop-up Reminders It's The End Of Days For Windows XP - Microsoft Will Send Pop-up Reminders It's the end of the line for Windows XP. Microsoft is planning to use pop-up warnings to remind users to upgrade and it could start as soon as next week. Read More that will appear once per month. Even this message can be hidden, and it will only appear on home computers, not centrally managed business computers. Microsoft will also continue to activate new installations of Windows XP. If you install a copy of Windows XP on a computer, you’ll have to go through the same activation process that checks with Microsoft to ensure you’re using “genuine” software How To Make Your Windows 7 PC Genuine Again After a Hardware Upgrade How To Make Your Windows 7 PC Genuine Again After a Hardware Upgrade "Your activation period has expired. You must activate Windows." Triggered by a hardware upgrade or following a fresh installation, this is Microsoft's way of ensuring you use Windows according to its licensing terms. Read More and not a pirated version of Windows. Microsoft has announced they’ll continue to run the activation servers and everything will activate normally. On April 8, Microsoft has stopped creating new security patches for Windows XP. Windows Update will continue to function and you’ll be able to install all the old security patches on new Windows XP systems, but Microsoft will stop working on new security patches. When someone finds a nasty hole in Internet Explorer that allows a web page to compromise you just by visiting it, Microsoft won’t patch it. Microsoft is throwing up their arms, saying they’re done with Windows XP, and moving on. Windows XP systems will become increasingly vulnerable over time as more holes are discovered and not patched. Smart attackers have likely been holding back attacks until after April 8, waiting to exploit new flaws. If they exploited them earlier, Microsoft would fix them — but, if they exploit them now, they’ll be able to use those attacks against Windows XP systems forever. XP is similar to Windows Vista, 7, and 8 in many ways, so attackers may even be able to look at Microsoft’s own security patches for modern versions of Windows and reverse-engineer attacks, finding new holes in Windows XP. Microsoft has extended the support time frame for Windows XP several times — of course, they felt pressure to do so because of how long Windows Vista took to make and how poorly it was received — but they’re drawing a line in the sand and won’t extend it any longer. Microsoft is still providing some support for Windows XP, but it will cost you. The “custom support” program costs about $200 per PC for the first year and more every year afterwards. Microsoft will fix problems rated “critical” and release patches for these users, while flaws rated “important” will only be patched if these users pay extra. Problems rated “moderate” and “low” aren’t patched at all. This program is designed for large organizations who are still stuck on XP and can’t yet upgrade. They’re willing to pay big for the support and Microsoft will let them. If you’re a typical home user, these are absolutely not intended for you — you’d be better off buying a new PC than paying hundreds of dollars to Microsoft every year for a few scraps, anyway. The high prices, harsh limitations, and increasing fees are designed to push organizations towards updating. Microsoft is done supporting Windows XP for free, but they’ll let slow-moving corporations and governments pay an engineering staff to work on it if they really want to. The UK government has paid millions of pounds for this support — they should have moved to upgrade from Windows XP Upgrade From Windows XP to a Modern OS in 7 Simple Steps Upgrade From Windows XP to a Modern OS in 7 Simple Steps It's time to say goodbye! Microsoft is ending official support for Windows XP on April 8 2014. Are you at risk? If you are still running this ancient operating system, it's time to upgrade. Read More sooner. New software will eventually stop supporting Windows XP. This is already happening — Microsoft’s own Office 2013 doesn’t run on Windows XP, while some already-released PC games don’t support Windows XP. Windows XP is so widely used that most software will continue to support it unless there’s a good reason not to. Google Chrome, Mozilla Firefox, and Opera will all continue to support Windows XP with the latest versions of their browsers for now, while Microsoft will stop patching Internet Explorer. Microsoft is obviously in more of a rush to bury Windows XP than anyone else, but their behavior sends a strong signal to other companies that Windows XP is on its way out. 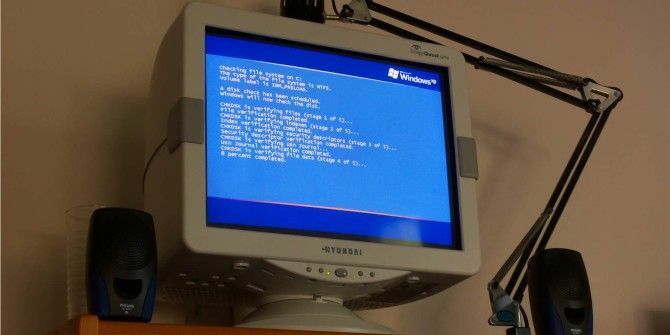 Most programs no longer support Windows 98 3 Windows 98 Bugs Worth Revisiting 3 Windows 98 Bugs Worth Revisiting Is it just nostalgia that keeps me attached to this OS, or was Windows 98 actually worth remembering? This operating system released 15 years ago had its ups and downs. Critics have been pretty harsh... Read More — Windows XP will one day have the same fate. Realistically, we’re more likely to see more companies stop “officially supporting” Windows XP. Their programs may work on Windows XP because it’s so similar to modern versions of Windows, but they may not check how well it works or spend time fixing Windows XP-specific bugs. With the end-of-support date coming up, your Windows XP system will gradually become less secure. Yes, you can and absolutely should use an antivirus program — even Microsoft’s own free Microsoft Security Essentials antivirus will continue supporting Windows XP into 2015 — but an antivirus program is only part of a good security strategy. You should also ensure you’re using up-to-date, patched software- – and Windows XP just can’t be up-to-date, patched software anymore. If you’re using Windows XP, be sure you’re using as much supported software as possible. Dump Internet Explorer for a secure browser like Chrome, Firefox, or Opera Which Browser Is Most Secure on Your Old Windows XP System? Which Browser Is Most Secure on Your Old Windows XP System? Windows XP remains a risky OS for surfing the web. The best thing you can do is ditch Internet Explorer. We'll show you the best browsers for Windows XP. Read More . Stop using Office 2003 and XP and at least use Office 2007 or 2010. You definitely shouldn’t be using Outlook Express either — if you love Outlook, be sure you’re using Outlook 2007 or later. Keep all your software updated, especially browser plugins like Adobe Flash and Adobe’s PDF Reader Browser Plugins - One of the Biggest Security Problems on the Web Today [Opinion] Browser Plugins - One of the Biggest Security Problems on the Web Today [Opinion] Web browsers have become much more secure and hardened against attack over the years. The big browser security problem these days is browser plugins. I don’t mean the extensions that you install in your browser... Read More . Uninstall Java if you don’t absolutely need it Is Java Unsafe & Should You Disable It? Is Java Unsafe & Should You Disable It? Oracle’s Java plug-in has become less and less common on the Web, but it’s become more and more common in the news. Whether Java is allowing over 600,000 Macs to be infected or Oracle is... Read More — if you don’t know whether you need it, you probably don’t. Follow our guide to bullet-proofing that Windows XP system 4 Ways To Bulletproof Windows XP Forever 4 Ways To Bulletproof Windows XP Forever Windows XP is slated to be exterminated for good by Microsoft in April of 2014. It is the last stage of a multi-year effort to kill off the operating system. Windows XP is one of... Read More to ensure you’re as secure as possible. Whatever your reason for still using Windows XP, it’s time to upgrade 5 Reasons Why You Love Windows XP & What You Sacrifice 5 Reasons Why You Love Windows XP & What You Sacrifice Nearly 30% of computers are still running Windows XP. It was a stable and reliable system for years, but all good things come to an end. Almost no good reasons to keep using Windows XP... Read More . If you don’t want to spend a dime, you can always try a Linux distribution like Ubuntu — it’s free and will be supported with security patches for years to come. Explore more about: Software Updater, Tech Support, Windows XP. There is still a way to preserve your Windows XP! We use to use Deep Freeze to keep our XP machines functioning well, ever since Rollback XP became a freeware, we have switched to Rollback. Fun... i ques most of you are very old... and with old i mean old fashioned. or are you still using the same phone, car, central heating from 11 years ago. you guys sound very sad..... and dragonmouth you are the number one of being old sad and stuck in lies that are old and sad. If choosing a Linux distro either for a virtual machine or to install directly onto hardware, stick with LTS, Ubuntu-based versions for now (rolling releases still aren't as user friendly as they should be). Probably the most stable and user-friendly OS next to Windows or any of the Mac/Apple variants is Linux Mint. Check out the LTS version, Mint 13, and don't forget to enable "backports" in the system update panel - it's supported until 2017. The XFCE and KDE flavors of Mint 13 are particularly tasty if you like a traditional desktop environment on your computer, with hardly any user frustration. The only other possibility is to go Mac, a good, cheap solution being a Mac Mini (if you're not a heavy gamer) - you can always stick VirtualBox on it too and run your Windows XP in that if you need to support legacy hardware/software. It's a more versatile solution than the all-in-one iMacs and cheaper than the expensive Mac Pros - that is of course if you like desktop computers. The simplest solution is to get rid of Java, download Firefox or Midori, and stick Linux Mint 13 into VirtualBox - and install VirtuaWin (free) so you can have multiple desktops for convenient switching between Mint and XP on your older computer. If You are looking at updating, really consider using a Linux distribution particularly Ubuntu. It has come a long way and I say it has a better user interface than Windows. It can even be dual booted with your windows installation if you wish or installed by itself with a minimum of fuss. You don't have to be a geek to use Ubuntu that is a very common misconspetion. Also software is available from a common repository meaning you don't have to search everywhere youself its all there. There is a Linux equivalent for just about every bit of windows software including Microsoft Office. The Linux equivalent is Libre Office and it will open MS documents and give you the oportunity to save them in MS Format if you like. Like any Linux distro they are extremely secure and do not suffer virus attacks like windows. Question - may seeem trite - but here goes - if I use my old PC running XP Pro to go online and check FB status and watch YouTube etc., no businesss, nothing having to do with money - what am I risking? as long you use Firefox and your brain, and your router plays the role of a firewall, ...hmm, i can't see anything. Some of my friends still have XP! We had great times together. I've lost track of all the fun and useful things we've done. I remember when you first came on the scene. I was a reluctant adopter, but I slowly came around. I built a career around supporting you, and will always have at least one machine with you on it. You weren't the elitist's OS, nor the OS of those who prefer status. You were the people's OS. You worked hard, played hard, and will be remembered with fondness by those of us who came to love you- BSoDs and all. 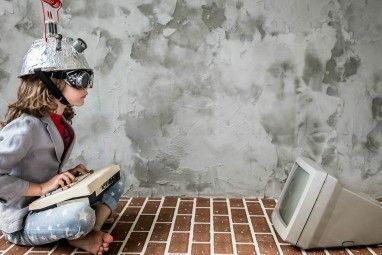 All of this hype assumes that the sole purpose of a computer is to go online. If the only computer one has and they use it for this purpose as nearly everyone does, yes, this is a big issue. If it serves other purposes that has nothing to do with the Internet, I do not see where there is any issue. Since I have a PC with XP, a Mac, a tablet and smart phone, all which connect to the Internet, I will simply stop using my PC online, which I don't need it for anyway. Not all people are so fortunate in having all modern day devices, some of, if most of them are stuck with their old xp computers, which is fortunate for them today because they can now download and install the very latest up2date, April 17th Free Linux operating system and software, It's time you learned Microsoft no longer rules the world, they have become insignificant world wide, 100's millions of Xp, W7 and w8 users have now moved to Free open source Linux operating systems. and software. in the near futures 1000's of Mac users will be doing the same thing, now there are Linux systems that will run on the Mac's. Why should they be locked in Apples walled garden when they can have the freedom to do what they want with their Apple widgets, I bet your daily excitement is Yahoo web page where you can make your daily silly comments, not knowing what your talking about. On the 12th I updated a video driver and after completing XP indicated I would have to re-activate my XP. It had only been on the computer since it was purchased appox. 5 years. I had installed the video card about 18 months ago. My COA is valid (been checked over and over during updates). I tried to validate it on line but a popup indicated it could not connect. I then tried the second icon (star shaped) and when it connected it said XP was not supported and I could update for $149. I was in the process of getting ready to make a dual boot system and give it away. This is the last straw for me since I have purchased DOS, Win 3, Win 95, Win 98, Millennium, NT, XP, Vista, and Win7 either as discs or on computer purchases. Each time MS assures the user of a safe and fast web access. The user has not received the value promised by MS and I feel they owe each of us free copy or a refund. I paid in good faith, but they did not provide the promised product. I have repaired too many MS systems to continue recommending it. I started using Linux several years ago and it is not a nerd or geek OS. I am 67 years old and if I can learn it anyone can. Actually it is easier than MS. Soon Chrysler, Ford, and General Motors will follow Microsoft's lead. That is, after your car is 10 years old, they will no longer supply parts, or allow it to be repaired anymore. You will be expected to buy a new car, to maximize their profit margins. A brilliant business plan, indeed. For people wanting to move to linux, it is best to start out with Zorin (a type of linux based on Ubuntu). This is very similar to the Windows user experience. To learn to to install linux on a computer and other things linux related, see YouTube tutorials as well as doing a search online. I am using this situation to friendly-force all the people I know having an old PC to switch to Linux until they can upgrade their PC-s. Until now, I have 4, and I am counting new additions / victories. Going to Linux is upgrading. I don't understand the whole concept of "XP died" . In closed systems where the system does not connect to internet in the sense of browsing or getting infected by virus how does it matter? So long as the hardware does not give up the ghost it will continue to run just the same. I have something like 7 ATM machines of different banks within a radius of 50 meters from my home. They all - supposedly - operate under XP. I have yet to see a single one being replaced, updated or upgraded. Believe me, the banks have a whole lot more to lose than any individual from malfunctioning OS. In my former employers place they are still using 5 XP machines with DOS based accounting software dealing in millions of dollars. They don't have any problem. All they have done is isolated these machines from internet. You're wrong about the monthly pop-up message. That was part of "Windows XP End of Support Notification (KB2934207)", an "update" you had the option to uncheck and block from being installed. Didn't get installed on MY computer! Ha! Yip, Goodbye Microsoft hello Linux , Ubuntu etc. I have an XP box here that I use to test software that I write. I don't let it near the internet, but I have tinkered with installing Oracle's VirtualBox in the past on it. I am thinking a way not mentioned in the '4 Ways to Bulletproof Windows XP article' would be to run all Internet activity in a linux OS session inside of VirtualBox. Won't completely bulletproof XP, but it will hide it pretty well. This obviates one of the reasons for continuing to run XP. It's zippy compared even to Win7 when it isn't larded up with stuff. And there's the avoidance of paying for a license from dear ol' destitute Microsoft. XP users are mostly users by choice. They don't need new-fangled things. But a slight willingness to bend with VB and Ubuntu and Chrome/Firefox, and this latter day 2K doom and gloom can be allowed to pass. Heartening to see that the chief architect of the great Office Ribbon and some of her cronies have been shifted sideways into non-jobs at Redmond. Is Microsoft actually waking up to the fact that customers are important? Nah. It isn't. But as long as former Microsoft customers of Office continue to desert in their thousands exorbitant bloatware that does what Microsoft thinks you should have rather than what you know you'd like, the flight to low cost alternatives or free versions of (for example) stuff like Kingsoft Office will continue on unabated. Microsoft screwed itself the day it started screwing over its customers; the obit for XP is merely a preliminary to the day that draws ever nearer when it's obit time for Microsoft itself. "Microsoft screwed itself the day it started screwing over its customers"
That must have been the day Mr. Bill licensed MS-DOS to IBM. The XP machines I look after an d many others I know of, are not on the internet. The scare about the ATMs isn't justified. 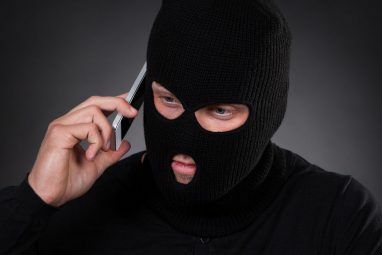 The ATM networks are independant of the searchable internet and live in the dark web. If your XP machine is running a robot or some other industrial or medical software it will probably do so forever. Systems like these have never had, nor needed "updates" from MS.
"I don’t think MS or the media are making this clear enough." It is very much in M$'s interest to obfuscate. "I’ll bet that Mars Rover isn’t running on Windows 8 …." If it is still working, then definitely not. It probably is running some version of Linux. May I use that obit sir? It's open source, so go ahead! Um, that was me, Col. Panek. How did I get two accounts here?? Oh well. I have been using NT4 and Win98 for years after the support ended.This whole thing is just a media hype. Good bye Windows XP, farewell! I-ve been waiting for this moment since 2010! Windows XP Professional x86 died April 8th 2014. Proceeded in death by Parents DOS, windows 3.11 and younger brother XP Home and lesser known sister XP X64. and cousins windows CE, ME, NT and 98. XP Pro, as he was called by his friends, leaves behind younger nephews and nieces, sextuplets Windows 7-Starter, Home-Basic, Home-Premium , Professional, Enterprise and Ultimate; also grandnephews and nieces Windows 8 , 8-Pro , 8-Enterprise, and RT. Windows 8 had some personality issues so will not attend any of the memorials. A memorial will be held on or about April 20 on the internet with smoke rising high. Also on the first day after the first Zero day attack money will flow from the 2,470,000 ATMs which have XP on life support. In lieu of flowers, send donations to Linux.org. To misquote Sam Clemens - "The reports of XPs demise have been greatly exaggerated." XP is not dead. It did not magically cease working at the stroke of midnight on April 8, 2014. M$ just decomitted support for it. With 30% of Windows users still using XP, it will live on for quite a while yet, in spite of M$. And we shouldn't forget XP's illegimate little brother Windows FLP. He was hidden away in large corporations and never never mentioned in public. I thought you were kidding about Windows FLP until I Binged it, and ...whaddaya know. Fortunately I never found out about it, or I would never have tried Puppy Linux.